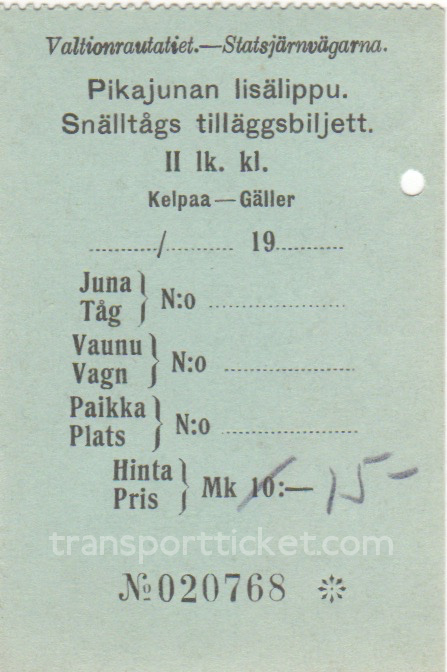 VR is founded in 1862 as Suomen Valtion Rautatiet (Finnish State Railways). 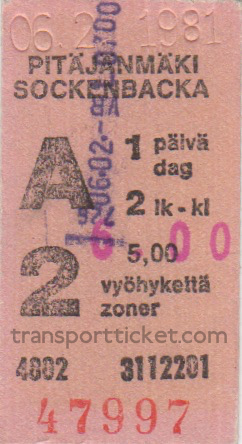 It's name changed in 1922 into Valtionrautatiet (State Railways) and again in 1995, after privatization, into VR-Yhtymä Oy (VR Group). 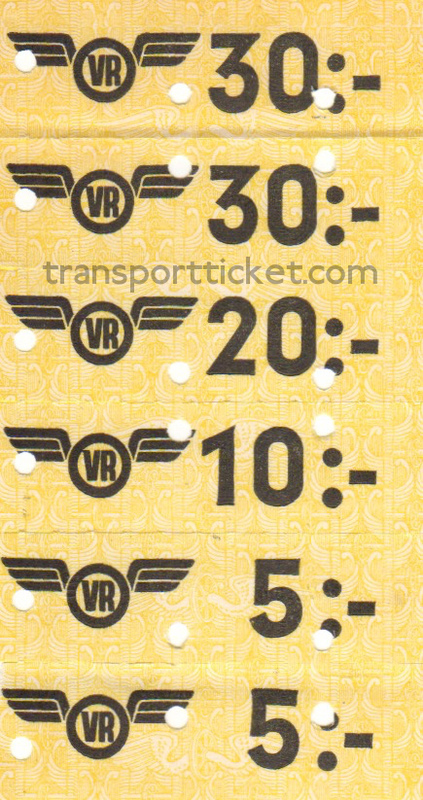 VR runs trains mainly in the southern part of Finland. 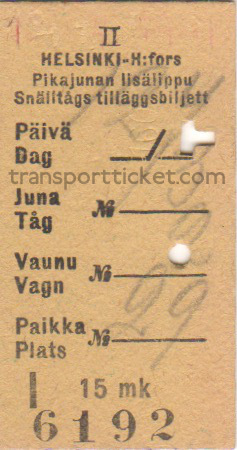 Finland has two official languages: Finnish and Swedish. 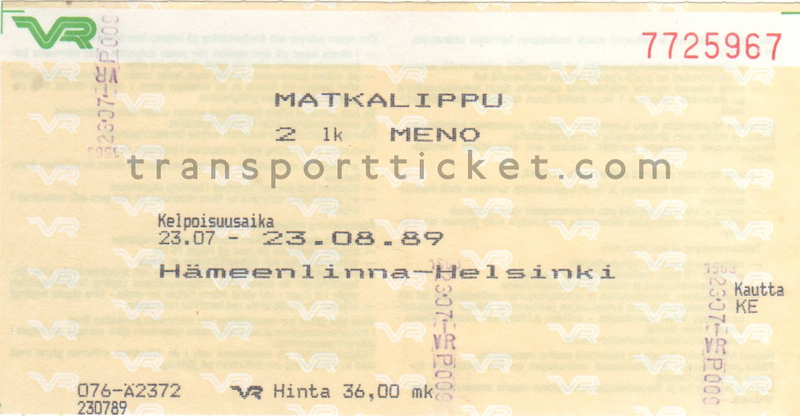 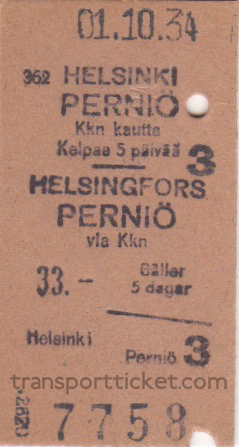 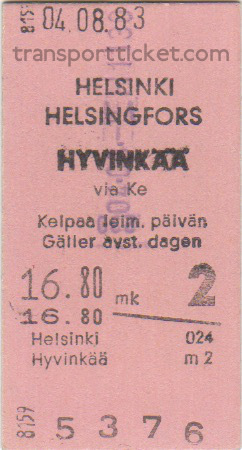 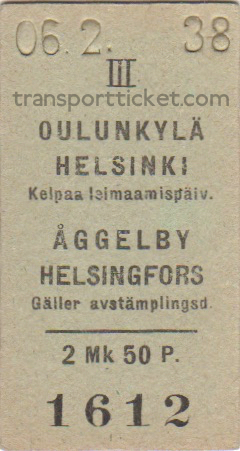 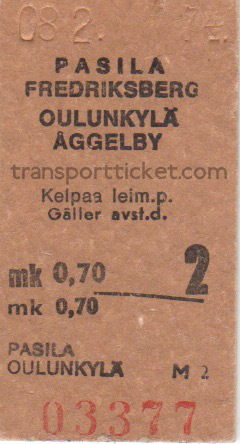 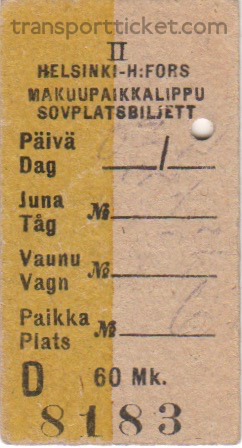 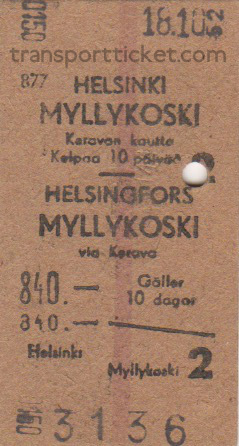 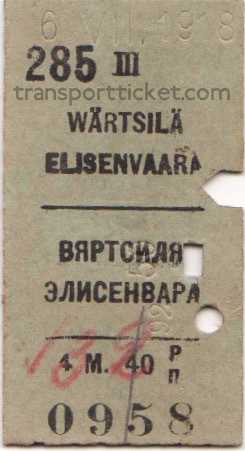 Hence tickets are usually in both languages. 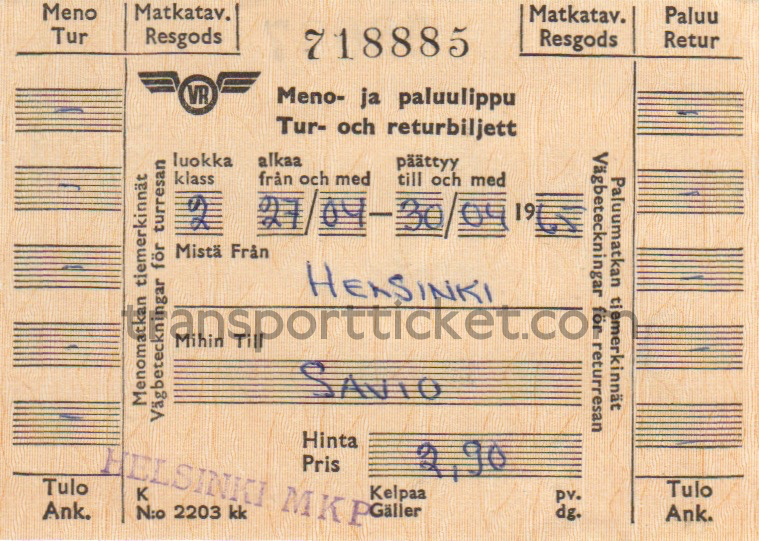 From 1809 until 1917 Finland is an autonomous grand duchy within the Russian Empire. 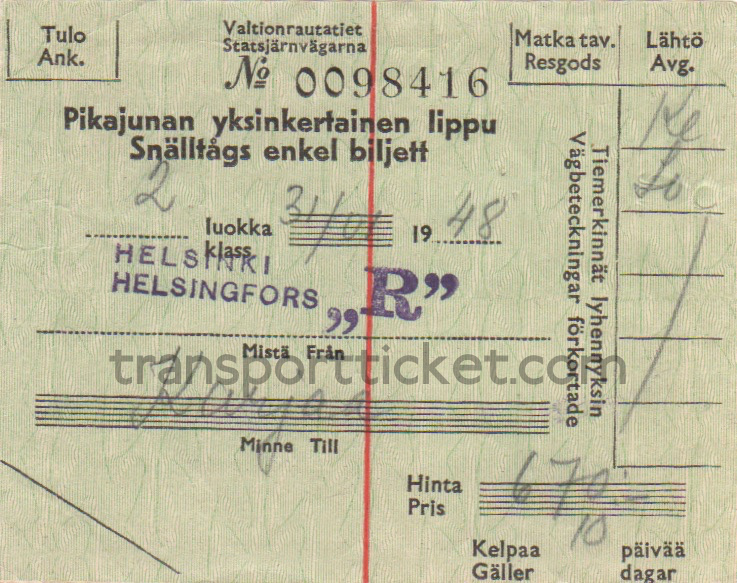 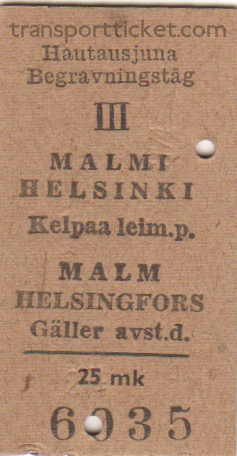 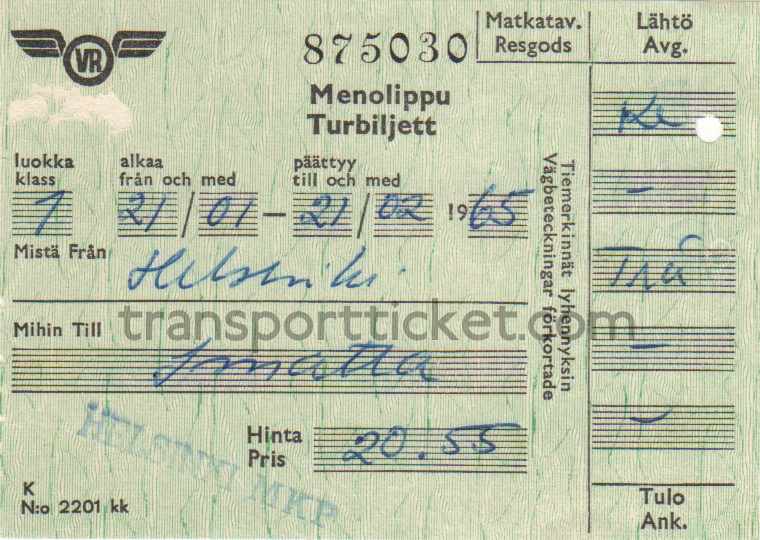 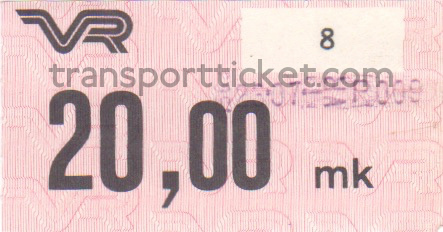 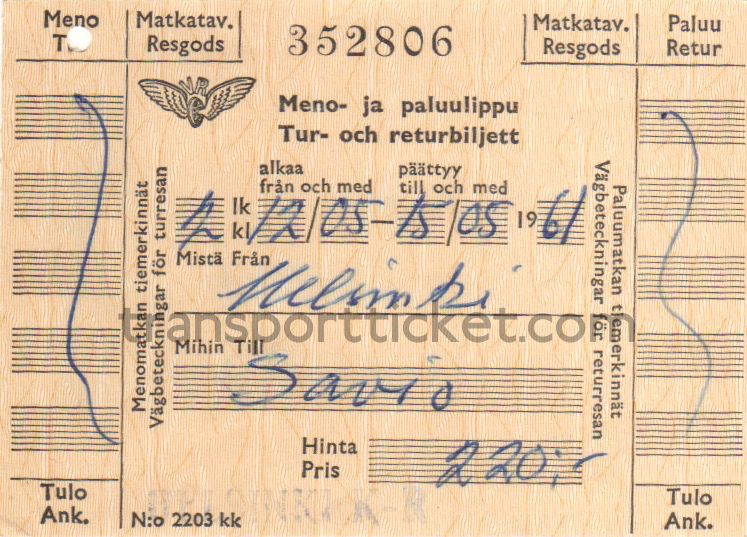 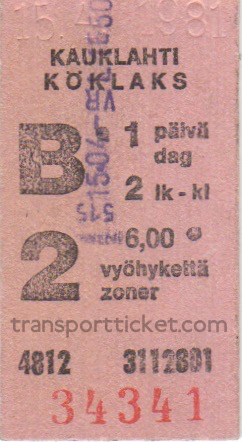 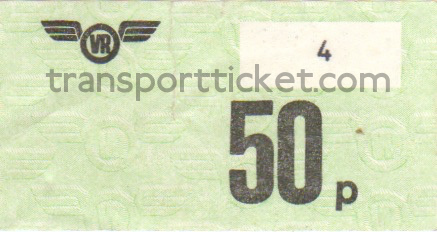 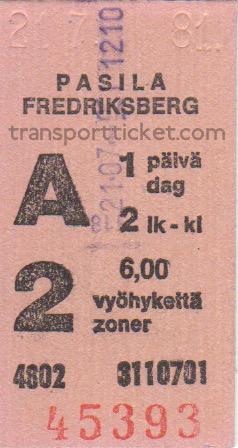 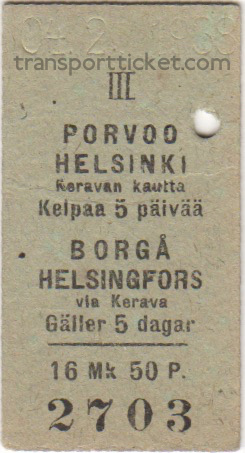 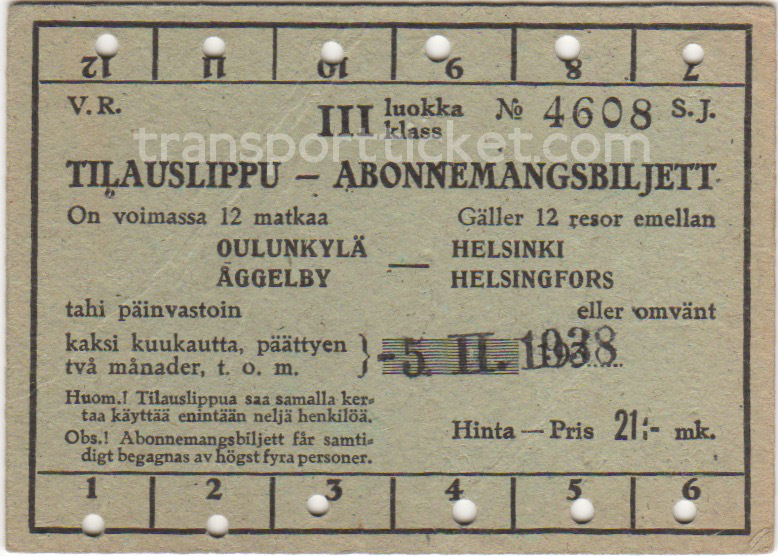 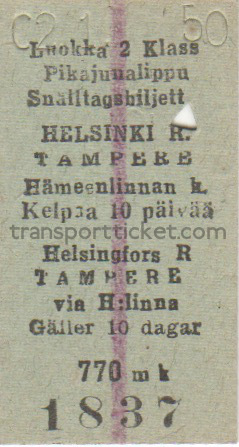 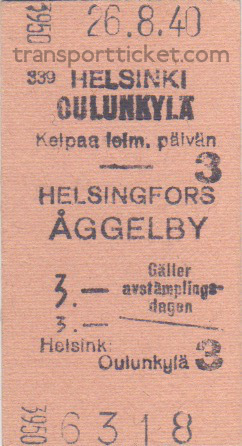 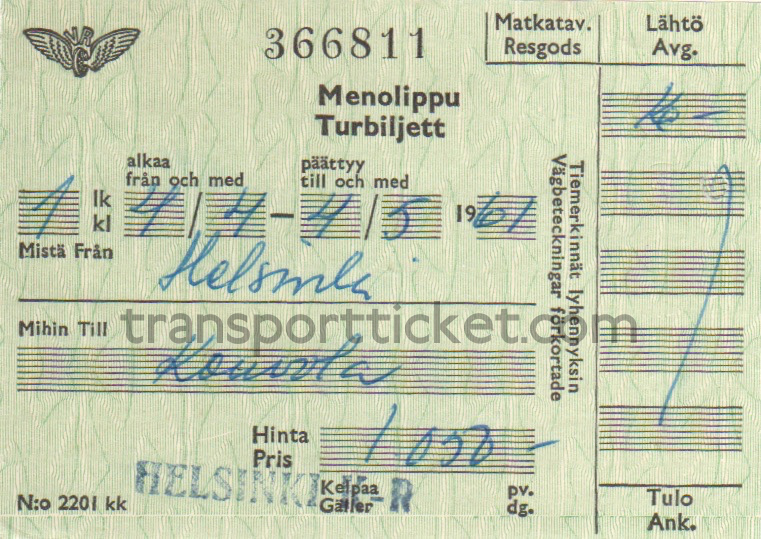 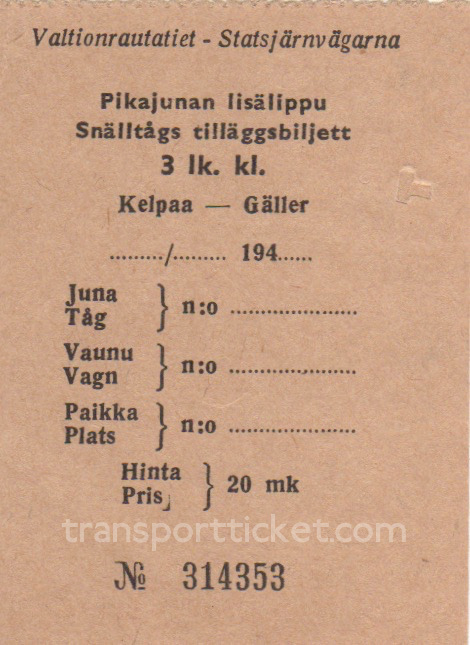 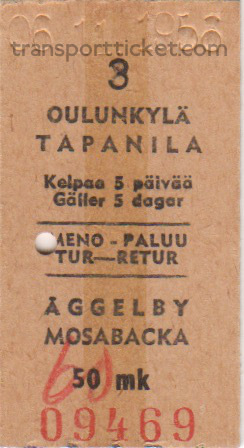 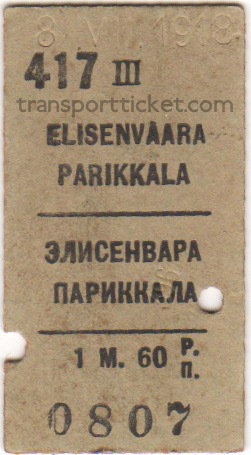 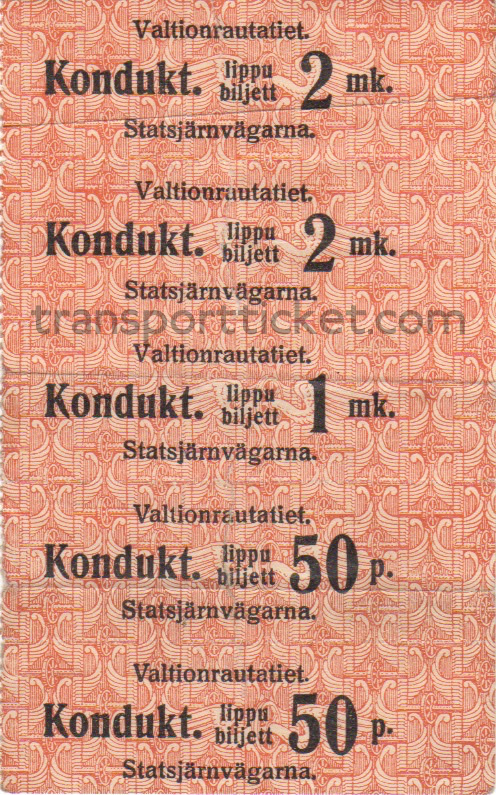 On tickets from this era you'll also find Russian texts.